These attractive calculators feature a flip-top case, perfect for travellers and business people on the move. The sturdy casing is made from a plastic material. Inside, the battery powered calculator has a large, 12 digit display along with all the standard calculator functions. 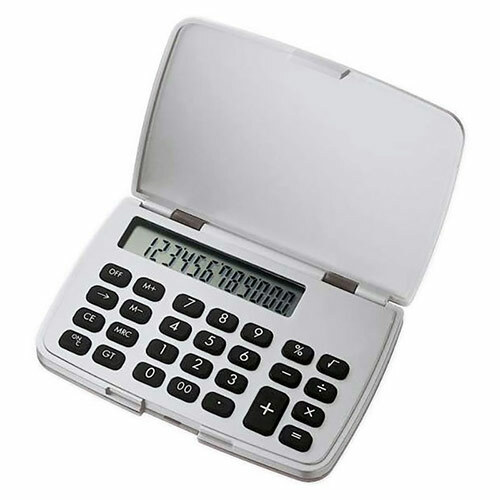 Perfect as promotional items as well as corporate gifts, these affordable and stylish calculators are offered with bulk order discounts (see price matrix, below) and low, fixed price UK delivery.